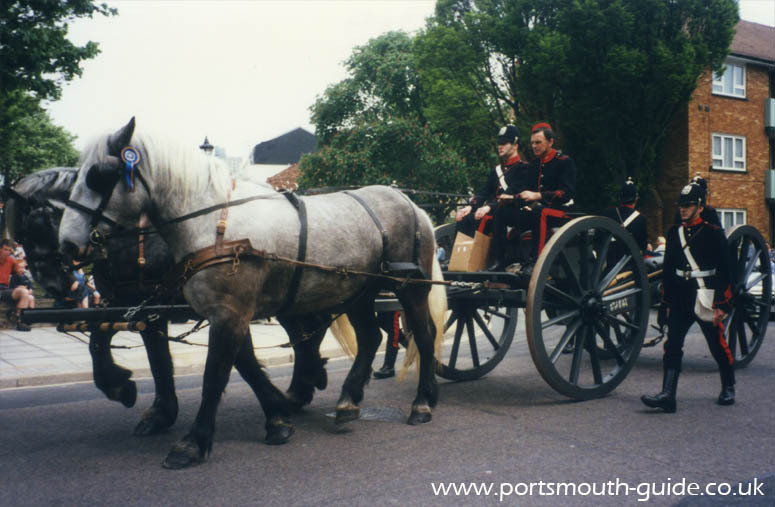 Portsmouth has been holding a Lord Mayors Parade since 1994 and every year since it has been a great success. Unfortunately the Lord Mayors Parade no longer takes place. The Lord Mayors Parade in Portsmouth was the largest outside of London and took a good hour to go past. Entries into the parade often included marching bands, army, navy, field gun team, local businesses, majorettes, local museums and there have been floats from France too. 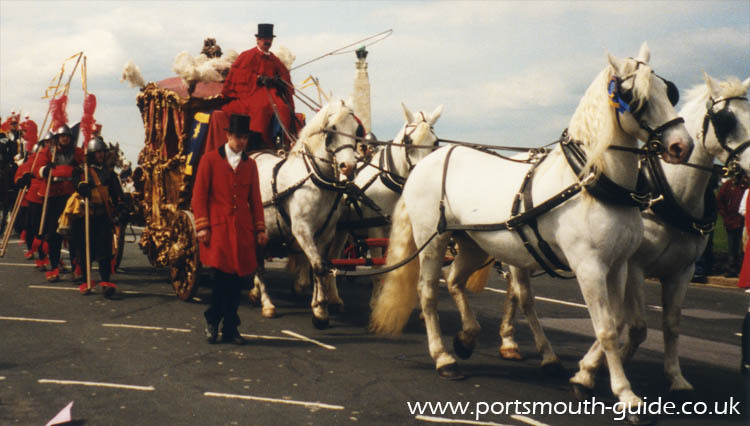 The above photo shows the Lord Mayors Coach which had been in the show every year. The keys to the city were also in the parade, usually near the Lord Mayors Coach. The above photo shows the Fort Nelson entry into the parade. The parade can be seen from a large number of places through the city. It started in Guildhall Square and ended up at Southsea Common where prizes were awarded to the best floats in different classes. The entire route of the parade was usually full of people watching the parade pass. There has often been a show put on after the parade at Southsea Common.